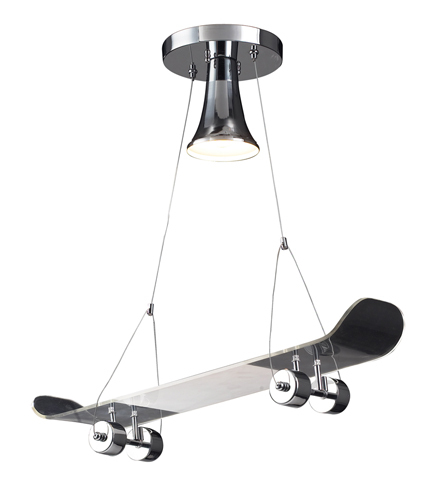 Skateboard Ceiling Light for Kids - This skateboard ceiling light is the perfect finishing touch for your skateboarder's bedroom or activity room. Ceiling light over skateboard takes one 60-watt medium bulb. Chrome finish on skateboard wheels. Includes 3 feet of cable.